I know I am kinda slow to post this. But just wanted to share with you girls who has missed it out! 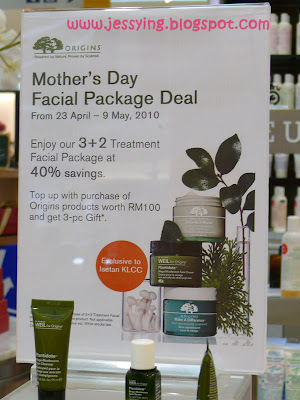 And yesterday I tried their Skin Repair Facial at KLCC using my free voucher which I got from the Origins workshop to see if I like their facial to purchase it.Overall experience is nice and especially I like the shoulder wrapped (which is actually a hot pillow with herb to put on my chest) however I felt something is missing! Ah...it is the lymphatic drainage massage which I had experience before from Kanebo's facial. Hence I went to Kanebo to look at their facial menu. So if today you buy Kanebo basic facial 3 times (RM98 x 3) is RM294, can get one free facial (same price with the facial you bought) and one free eye treatment , plus special treat of one time free of Hot Stone body treatment ! Tempting right ? Only RM73.50 for each facial ( 4 facials in total) , free 1 eye treatment (worth RM48) and 1 hot stone body massage (worth RM168) ! Wait there are more, I found out !!! Don't buy first, let me tell you more !!! 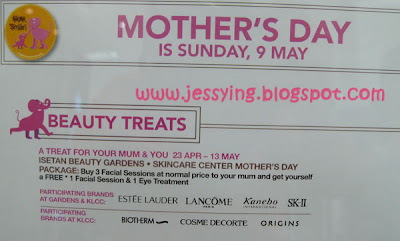 Stay tune, going to blog about it more !!! The kanebo makeup by japanese makeup artist got 2 types? 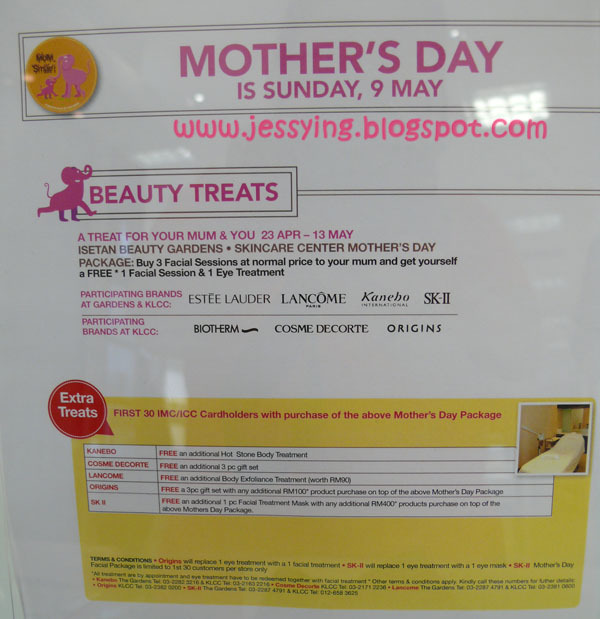 One doorgift is RM100 and another is RM25o? sorry wrong posting of the, haha read the next post for clearer info! Jess... hows the overall origins facial? i hav completed my facial package, now sourcing around. what would you recommend? juli : i think overall it is affordable and nice, however they did not have limpage drainage massage which I thought they have. They only do point pressure massage.